In other news, I’m also very proud of the inexpensive sensory table we set up. We needed an art station, thanks to the amount of art supplies I have accummulated for the lil boss, and we needed it to be weather-proof, because the only space left is on the balcony. We ended up buying the largest IKEA storage box there was, and stacking a shallower one on top of that box to form a tray that the lil boss could stand around. I can’t take credit for the design; I adapted it from a similar one we saw at the Chillax Market in Grandstand. 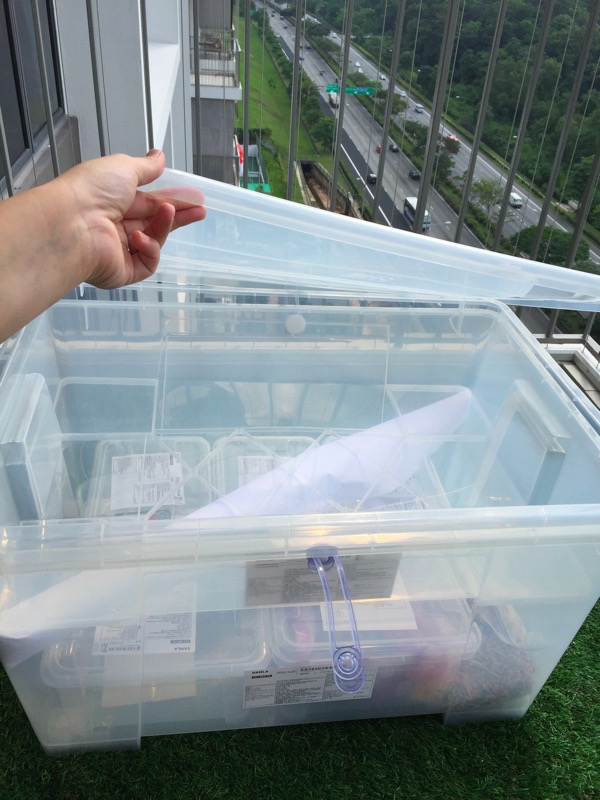 We added a lid on top of two boxes, so that we can have an art table when we need it, and popped in a few small boxes of supplies under the ‘tray’ (coloured rice, crayons, colour pencils, paints, paper for now). 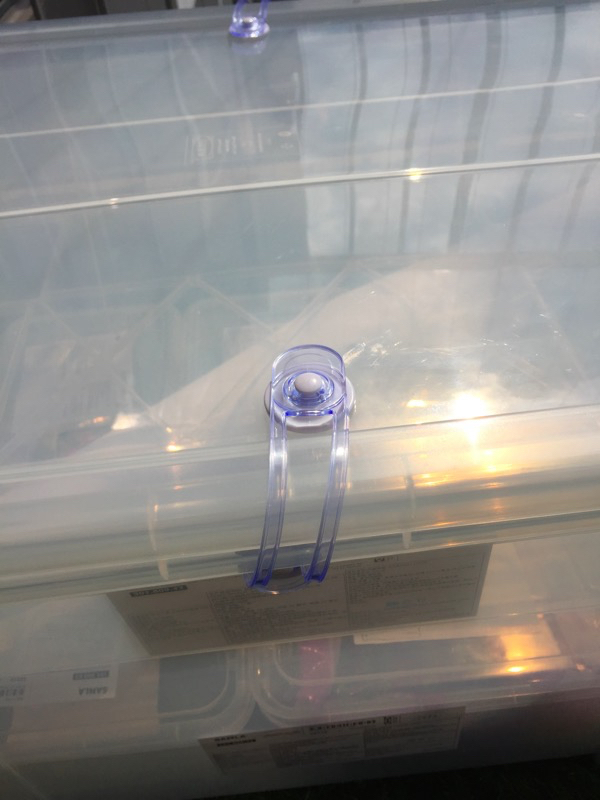 To prevent the lil boss from raiding the supplies when backs are turned, we added two Dreambaby’s childproof latches to keep the lid locked onto the boxes. < Previous The lil boss in school. Or not.